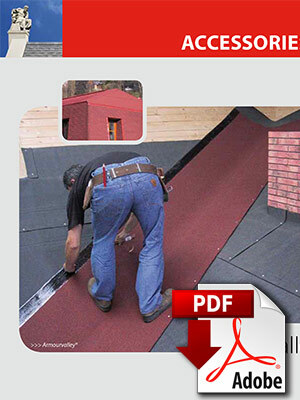 Armourvalley is a high quality plastomeric membrane finished with ceramic-coated granules that fully match the colors of IKO shingles. Its special features make it ideal for the specific needs of roof valleys and many other roof details: strength, flexibility and aesthetics. It can also be used for low slope roof areas adjacent to shingles. Other colors may also be available. Please, contact us for more detailed information.